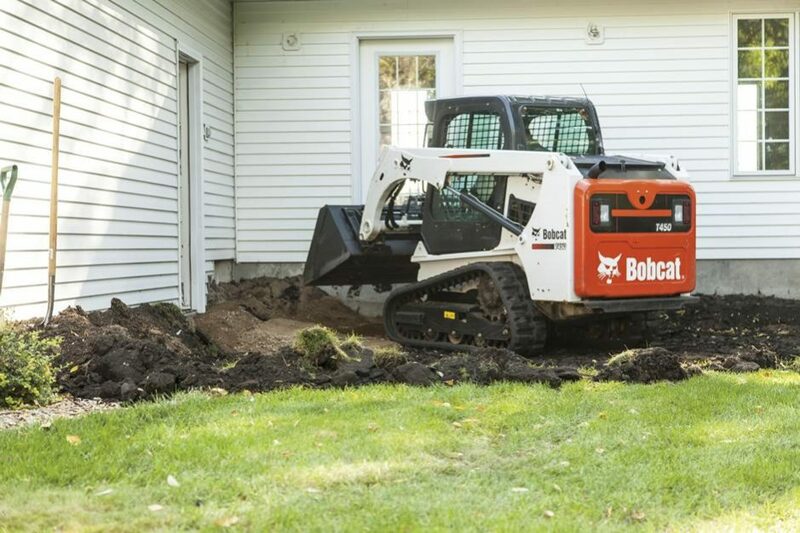 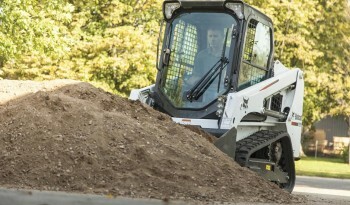 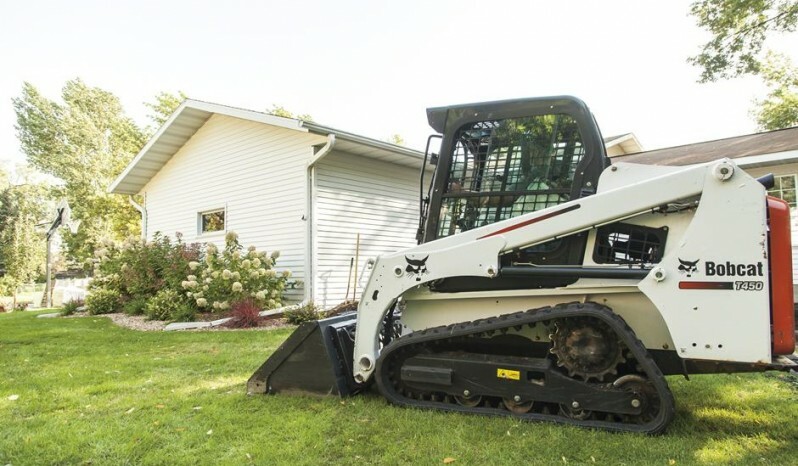 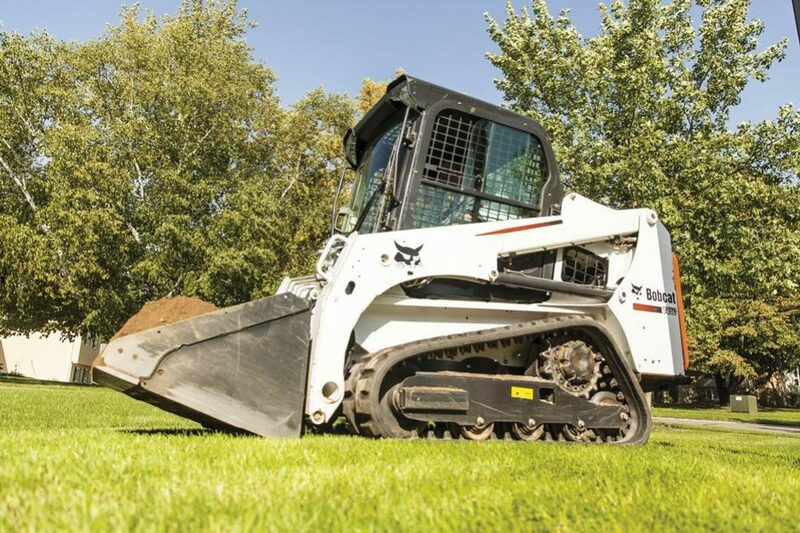 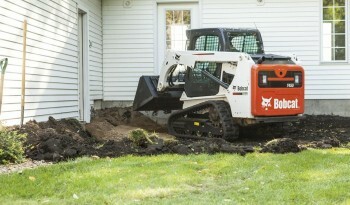 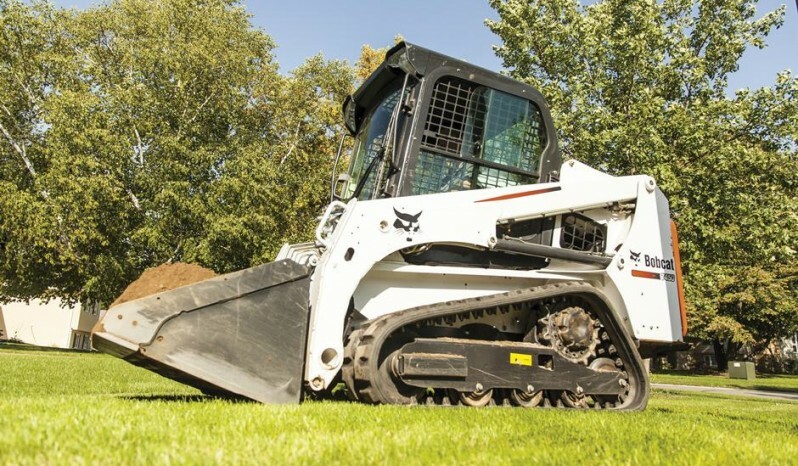 Maneuver around tight worksites with the radius path Bobcat® T450 compact track loader. The radius lift path excels at jobs with mid-range working heights such as dumping over walls, backfilling or unloading flatbed trucks. 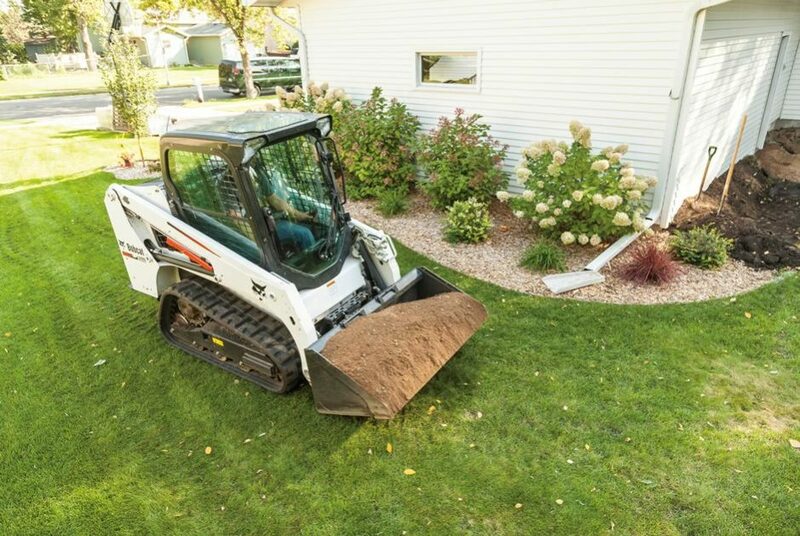 A powerful Tier 4 engine makes the T450 an impressive performer. 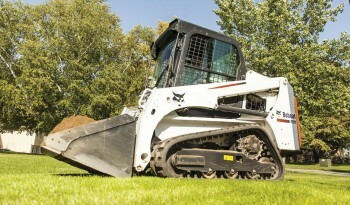 Length with Bucket 126.6 in. Fuel Tank Capacity 17.3 gal. 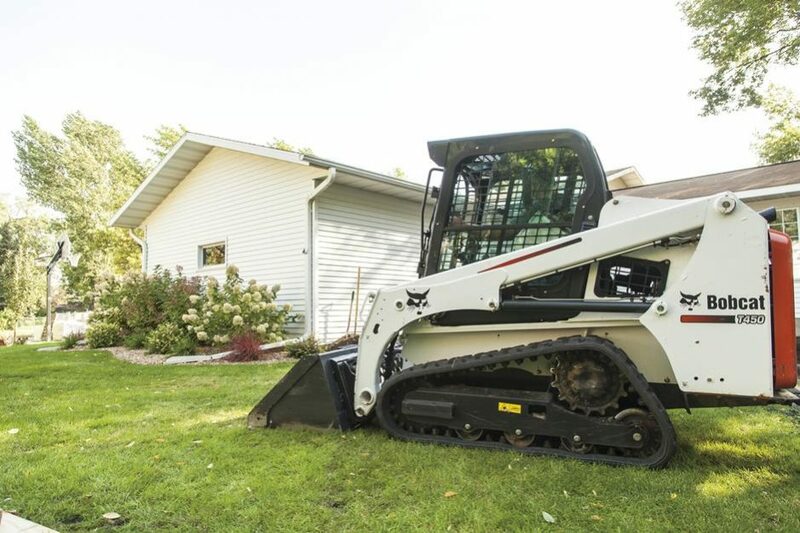 Rated Operating Capacity 1,400 lbs. 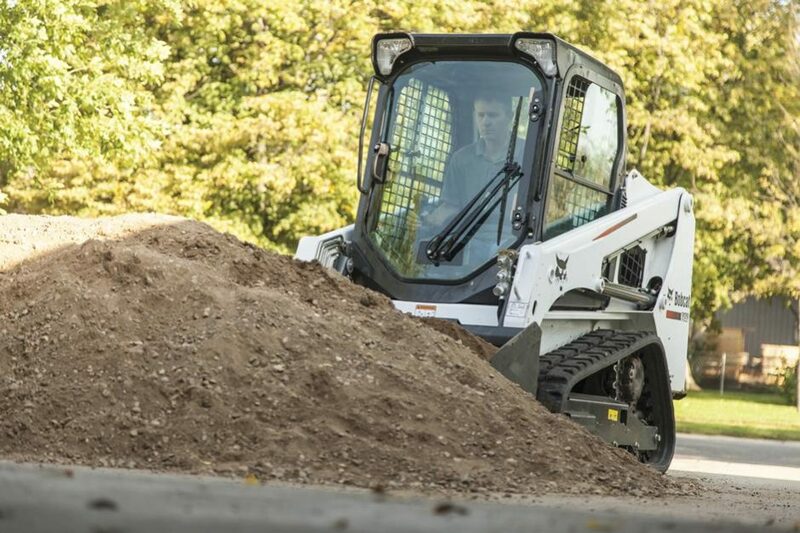 50% of Tip: 2,000 lbs.